Preheat the oven to 350 degrees F. Line two large baking sheets with parchment paper. Whisk together the almond meal, coconut flour, coconut, baking soda, salt, ginger and zest in a medium mixing bowl. Pour the coconut oil and maple syrup into the bowl with the flour mixture. Mix using a spatula until just about combined. 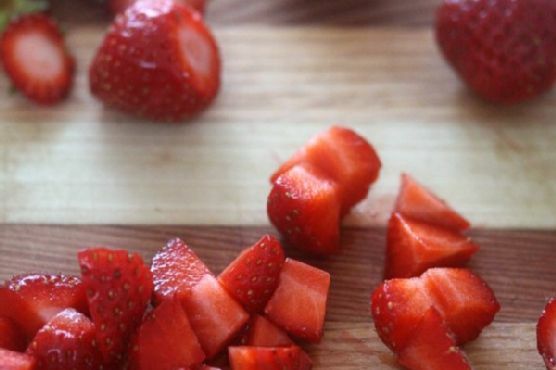 Fold in the strawberries. Roll a tablespoon of dough into a ball and then place on to the baking sheet. Repeat with the remaining dough. Bake the cookies until lightly browned on top, about 10 minutes. Cool on the baking sheet until firm.